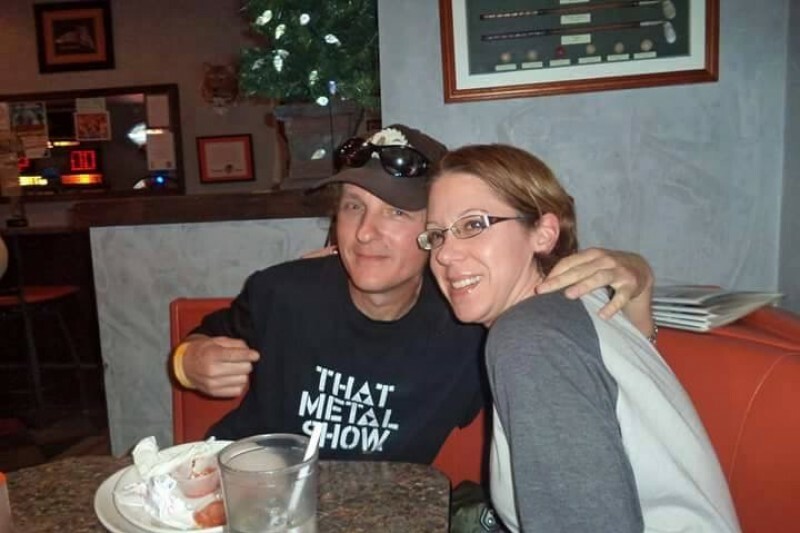 Memorial Fund for Michael Heggedus-Combs for current funeral expenses and Misc. for his wife Helen, Mother Sharon, and Father Bill Combs. hi helen, hope you got our card. i decided to put it in the oak box at the funeral home but the card was pretty big compared to the size of the slot and i had to bend it to get it in ... then in my afterthoughts, i hope it didn't get stuck inside. tom and i love michael and you so much! you were so beautiful and graceful at his 'last gig'; we will never ever forget! .......... his kind soul will live in our hearts always. Mike was amazing. His passion and love for music inspired me always. He always made me smile...one way or another....he was a great person. We shared some great times at Digital Daze and Quonset Hut. He will never be forgotten. Long live the Jammer! I will miss you man! I am so sorry for your loss and the time it took for me to do this. I do not check my fb account often and unfortunately did not see this until about 2 weeks ago. Then the issue became that I was so crushed, still am. I am not quite sure how to put words to the way my heart feels. Though we had not touched base in quite awhile - the memories come roaring back. The days of Snuka vs Rowdy, Joey podering, pizza after football, birthday party football games, Jackie Lees marching band trips and the list goes on. Mike was great person with a good heart. When I did check Facebook I was always excited and envious to see the updates of his shows. To all who loved Mike, may it be the wonderful memories of a wonderful man that keeps him with us. Sadly missed..Mike was an awesome guy and I am honored to have called him my friend. Just wish we could have gotten together more. Running sound for The Nightmare was a MEMORABLE experience. Love those guys! Mike's abundant enthusiasm, energy, and love of life will be greatly missed. Jammer starred in Justin's film. We are saddened by your loss. Our thoughts and prayers are with you, along with our deepest sympathies. Barb and my deepest sympathies go out to Helen and Mike's family. We will miss him, he was a great guy.